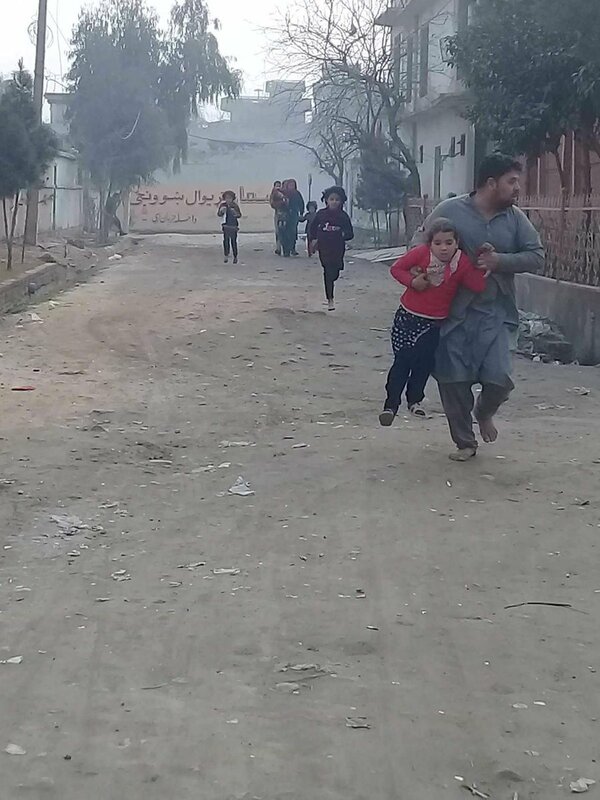 Gunmen stormed the offices of Save the Children in Jalalabad on Wednesday, killing at least six people and wounding 27 in an attack claimed by . The latest assault on a foreign charity in underlined the growing dangers for aid workers in the country, who have become casualties of an increase in militant violence in recent years. The attack began just after 9am when a suicide car bomb was detonated outside the offices. The attackers then used rocket-propelled grenades (RPGs) to blast their way inside. Afghan security forces fought the gunmen for nearly 10 hours, at one stage rescuing nearly 50 people from the basement of the building as fighting continued on the floors above, said a member of the Ningarhar provincial government, Sohrab Qaderi. Army officials said at least six people had been killed – two soldiers, two guards working for Save the Children and two other civilians, one of whom also worked for the British charity. 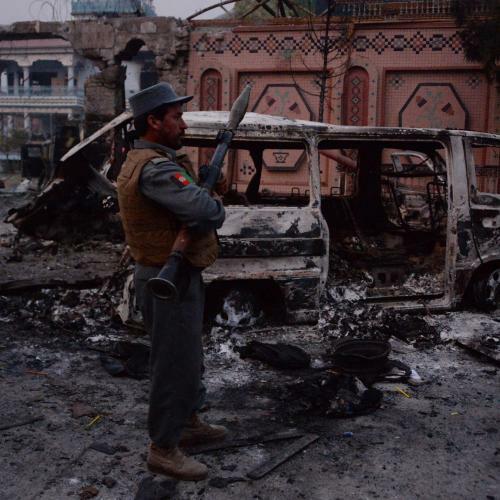 Another 27 people were wounded, including nine Afghan security service members. Save the Children confirmed “with profound sadness” that three of its staff members had been killed in the attack. “All other staff have been safely rescued from the office. Four were injured in the attack and are receiving medical treatment,” a spokesman said. Wednesday’s deadly attack on Save the Children’s offices in the eastern city of Jalalabad was claimed by Islamic State. It forced the British aid group, which has operated in Afghanistan since 1976 and supports hundreds of thousands of children each year, to suspend all operations across the country and close all offices. MSF suspended its activities in northern Afghanistan’s Kunduz province after a Nato airstrike on a hospital in October 2015 killed 42 people – including 24 patients and 14 staff – as US-backed forces battled Taliban fighters. The attack forced the then US president, Barack Obama, to make a rare apology. MSF has since reopened a small clinic in another area of northern Kunduz. The ICRC put its nationwide operations in Afghanistan on hold after an attack on its aid workers in February 2017 in northern Jowzjan province, which left six dead. Two other staffers were abducted and later released after seven months in captivity. No militant group claimed responsibility for the abduction or killings, but police blamed local Isis jihadists. The UN’s WFP agency has scaled back its work in the country owing to a combination of staff shortages and increased risk. It withdrew from the once-calm north-eastern Badakhshan province after an attack on five of its trucks in 2015. The incident was claimed by Isis, which has established a foothold in eastern Nangarhar province, of which Jalalabad is the capital.The group said in a statement it was targeting British and Swedish groups in the region. Up to four heavily armed insurgents are thought to have been involved in the attack. Initial information suggested the men had been wearing military uniforms, said Attaullah Khogyani, a provincial government spokesman. Television footage and video shot by onlookers during the attack showed thick smoke billowing from a burning car outside the complex and a fire burning on at least one floor of the building. A Taliban spokesman said his group was not involved in the attack. At the weekend Taliban gunmen , killing at least 22 people, mostly foreigners. The UN’s mission in Afghanistan tweeted that it was looking into reports of Wednesday’s violence. “Attacks directed at civilians or aid organisations are clear violations of international humanitarian law and may amount to war crimes,” it said. The assault on Save the Children, which has operated in Afghanistan since 1976, follows an last year. Six employees were killed in that attack, and the charity said in October it would “drastically” reduce its presence in the country. The decision by the Red Cross, which has been working in Afghanistan for more than 30 years, highlighted the growing dangers facing aid workers. The UK ambassador to Afghanistan, Nick Kay, said Wednesday’s incident was an outrage. “Any attack on children & humanitarians is a crime against humanity,” he said . US and Afghan forces have been carrying out ground and air operations against Isis fighters in Nangarhar. While Afghan security forces are conducting most of the fighting against Isis and Taliban militants, US troops operate alongside them in a training capacity and are frequently on the frontline. The last major attack in Jalalabad was on 31 December, when an explosion at a funeral killed 18 mourners and wounded 13. There was no claim of responsibility. Last April the US detonated the it has ever used in combat against Isis fighters in the Achin district of Nangarhar province. The Afghan government claimed the “mother of all bombs” killed 90 militants.